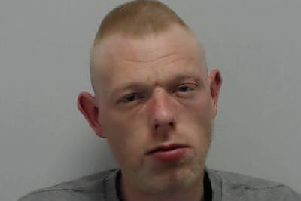 Police are searching for 32-year-old Lee Campbell from Wigan. He was last seen at around 1pm on Thursday 16 August in the Poolstock area of Wigan. Lee is white, and described as muscly with a shaved head and stubble. He has a tattoo on his arm that says Vegas. He was last seen wearing beige tracksuit bottoms and a white t-shirt. He is driving a white Volkswagen Transporter with the registration number AO03 LEE which has LPS written on the side and a logo of a plumber with blue overalls on. Lee’s family are incredibly concerned. Anyone with any information about Lee’s whereabouts is asked to contact police as soon as possible on 0161 856 5308 or alternatively call 101 quoting the missing person reference number MP/18/0118458.